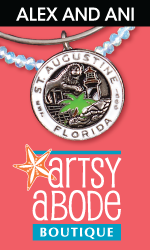 Decadent chocolates, tasty sweets and bountiful treats are all at this local St. Augustine chocolate shop! On Anastasia Island next to GAS Full Service Restaurant. 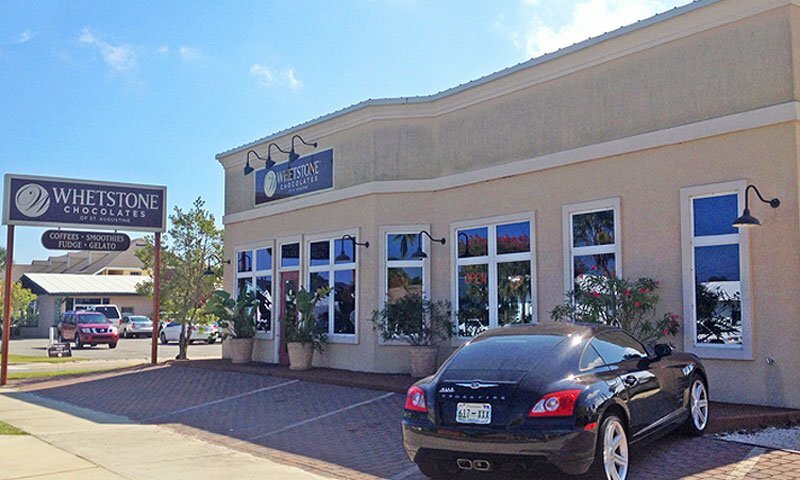 Since the 1970s Whetstone's name has been synonymous with delicious chocolates. The smooth taste of their delectable treats attracts locals and tourists. 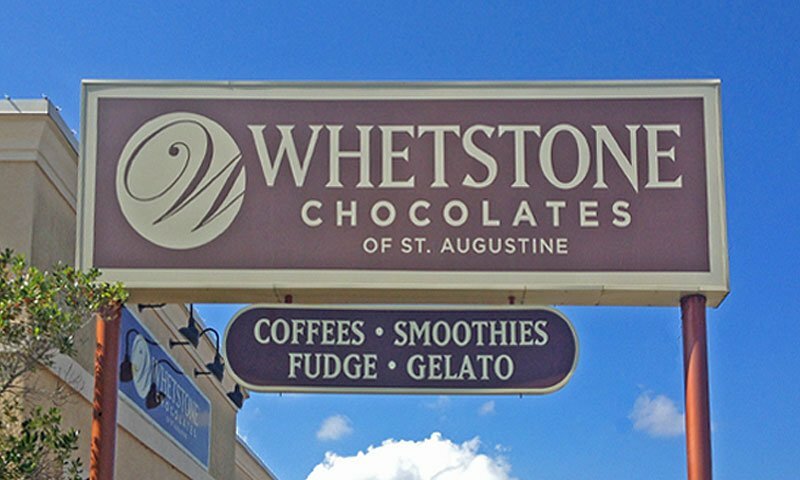 The Anastasia Island Whetstone Chocolate Shop offers a wide variety of treats including fudge, caramels, gelato, dessert toppings, and chocolates. Vacationers and locals can choose from their selection of white, dark, milk or even sugar free chocolates so everyone can enjoy the taste. 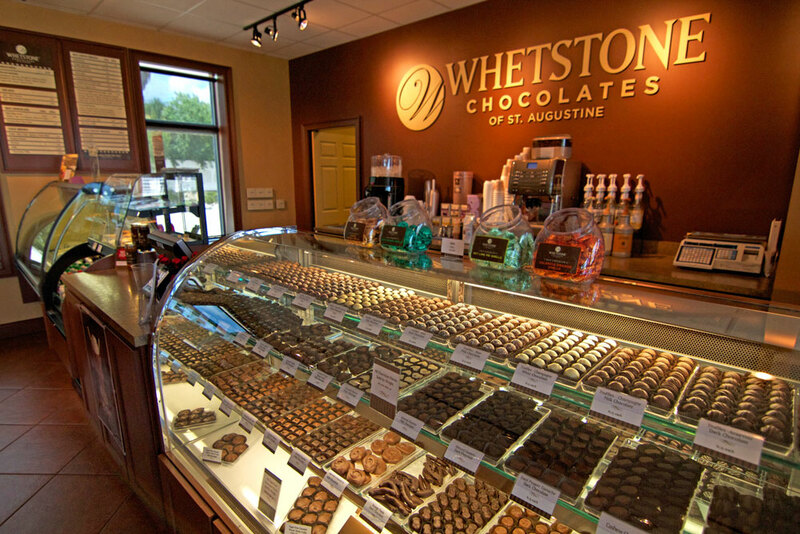 Whetstone's offers box gift assortments of their chocolates, personalized gifts great for any occasion, as well as individual bags of your favorite flavors. 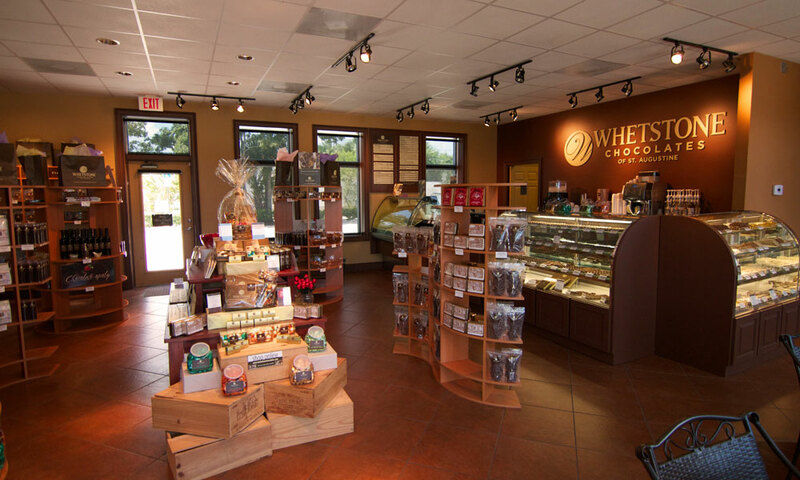 Whetstone Chocolates continues to be a family run and operated business offering fresh, high quality chocolates to the Northeast Florida area and beyond. Their special chocolates created with care and expertise is sought after by many giant chocolate companies. 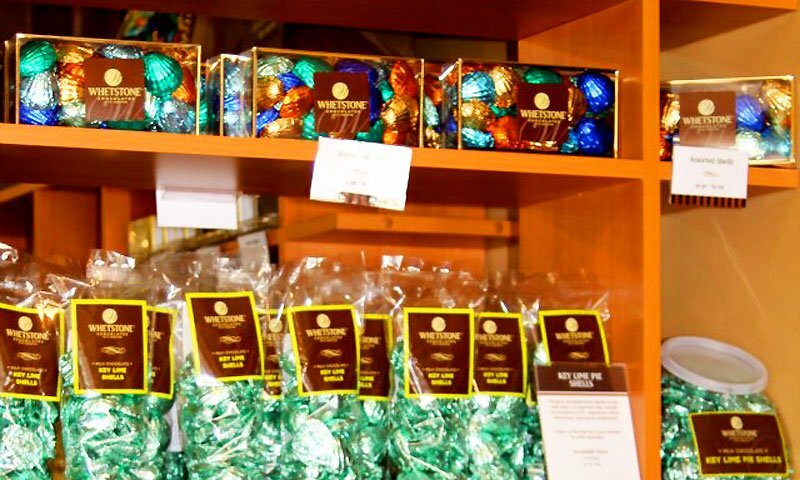 For a taste of truly scrumptious chocolate stop in a Whetstone Chocolate shop, get educated on your chocolate palate and take home your favorite flavor. Whetstone Chocolates on St. George Street. Whetstone Chocolates on King Street. 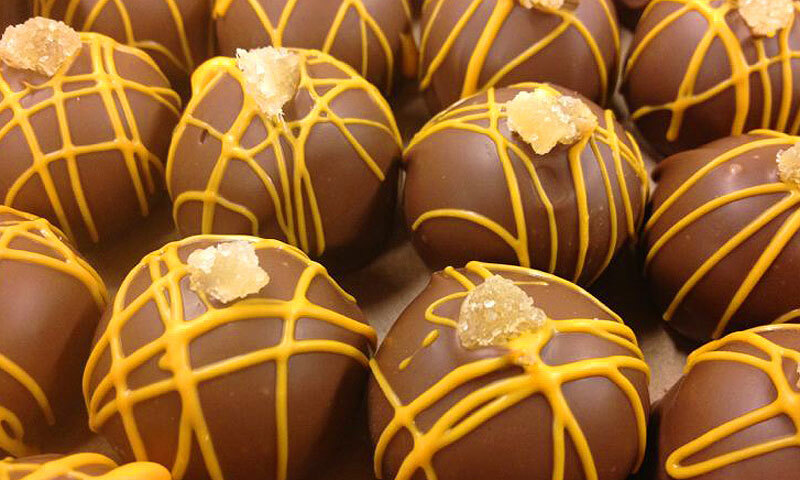 Whetstone Chocolate Tasting Tours on King Street. Be the first to Review Whetstone Chocolates - Anastasia!